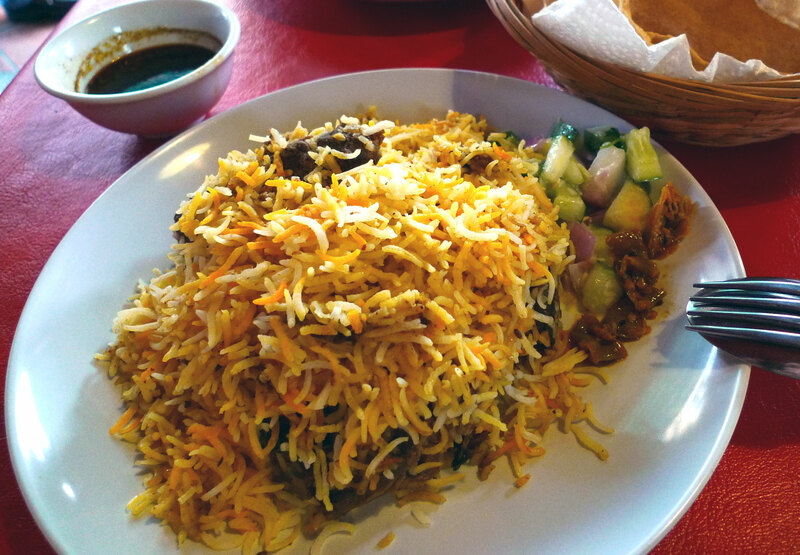 Here is a plate of mutton dum bryani from Bismillah Biryani. They cook the basmati rice without using oil or ghee but yet there is a strong and tasty fragrance to it. The mutton is also quite yummy, not too tough but still chewy. However there is this incredibly spicy taste to the rice, however I cannot locate the source as there is no evidence of chilli at all. This place is a definite must-go if you like hot spicy tasty biryani! 2 Responses to "Bismillah Biryani"